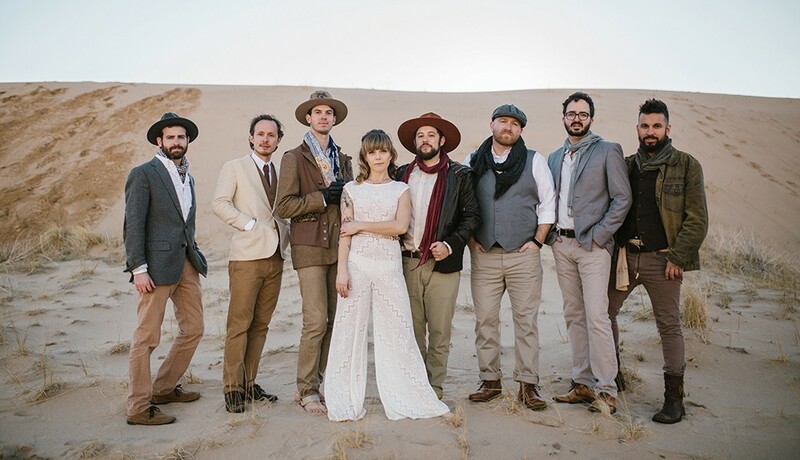 The Dustbowl Revival plays the Arkley Center for the Performing Arts at 8 p.m. on Saturday, March 30. No intro this week. I'm too busy spending my time reading opinion pieces on Twitter and elsewhere explaining why the establishment heads in the Democratic Party hung all of their impeachment hopes on a career G-Man instead of making what I am sure is the very difficult case that we have in office a mendacious and racist grifter who is unfit to run anything beyond a pyramid scheme presentation in a motel conference room. I guess people who are reflexively used to speaking with the manager might find direct action and a general strike to be a bit beneath them, but that's historically the only way we get any progress in this country. It's a simple equation: You put children in cages and accelerate global extinction and corporate rule, we slow down the economy until it's ready to power a more just society. Or we could continue a backslide into fascism. That would be quite the April Fool's trick. In the words of Joe Strummer: "All the power's in the hands/ Of people rich enough to buy it/ While we walk the street/ Too chicken to even try it." 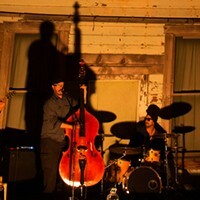 The Duncan Burgess Trio plays The Basement tonight at 8 p.m. I haven't seen Duncan's trio but I have seen his solo guitar gig at Libations a few times and I can tell you that the man can play some truly lovely interpretations of jazz standards, whether he's on the six strings or the sax. For the last 30 years, native Southern Californian Rick Crowder has performed as his alter ego Sourdough Slim, a sort of timeless singing comedic cowpoke cut from the same chaps as Gene Autry and Roy Rogers. Armed with a harmonic, acoustic guitar, accordion and a range-splitting yodel, this raconteur will bring his family friendly show to The Old Steeple tonight at 7:30 p.m. ($30, $25 advance). Joining him is the multi-instrumentalist Robert Armstrong, a man celebrated for his fine skills on the musical saw and steel guitar, as well as his notoriety as the creator of the 1970's underground comic Mickey Rat. The Hot Club of Cowtown is an Austin, Texas-based trio that specializes in western cowboy swing music mixed with the pre-World War II European "Gypsy jazz" of Django Reinhardt and Stéphane Grappelli. Tonight the band appears at the Arkley Center for the Performing Arts at 8 p.m. with the soul and roots mini orchestra Dustbowl Revival to play a unique tribute to The Band on the 50th anniversary of that group's celebrated "Big Pink House" tunes ($49). If you are in the mood for roots music played very well but in a more downhome and inexpensive setting, may I suggest you drive out to Blue Lake an hour later at 9 p.m. to catch Belles of the Levee at the Logger Bar for free? You certainly can't go wrong there. The Arcata Playhouse hosts Jaese Lecuyer tonight at 7:30 p.m. ($15). 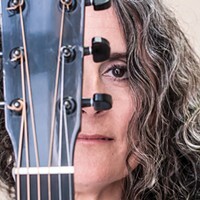 A sweet-voiced singer/songwriter who trades in a gentle mix of folky light soul music, Jaese is also the former director of the Arcata Interfaith Gospel Choir who used to perform under the name J.C. Brown. Expect a quiet local show in the with some pleasant guitar work and impressive vocals. I used to think that it was funny to prank people on April Fool's Day. My family members were usually the targets but, being a child, I didn't really understand humor, as my frontal lobes and sense of empathy hadn't fully developed yet, so suffice it to say my mother didn't appreciate hearing that the dog had gotten hit by a car or that my brother was on fire in the neighbor's yard. Pranks are inherently at least mildly cruel, though I don't ever want to repeat what was probably my greatest 4/1 hit, which was in my mid-20s when I made a long trail of fake blood down the hallway and into the bathroom, and set off for work without leaving a note of explanation for my girlfriend or roommate. The unreasonable hassle I had to deal with in the wake of that bit of fun convinced me that my future would need to be a bit more serious if I were to have any hope of a quiet life. So I have for years since given only a fleeting backward glance at my former ways. But the temptations of old habits can tickle new senses and a return to one's roots is always possible. One such artist who understands the importance of roots is Neil Young, who is recreating his historic Northern California barroom tour from the 1970s with a quick run up the coast. Performing under the name The Jim Diamond Dandies, he'll be playing a quick free set this afternoon at 5 p.m. at the center of the Arcata Plaza, where he will announce which local tavern will host the evening's longform show with a few, shall we say, familiar guests. Get there early as there might be a crowd. Birmingham England is perhaps best known as the birthplace of heavy metal, as a monster named Black Sabbath was hatched there in the late 1960s. The industrial Midlands city is also home to a different type of heavy metal, the roots reggae group Steel Pulse. Now in its fourth decade, David Hinds and company are still touring the world with their deep and groovy sound. 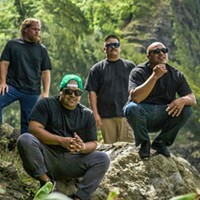 Tonight they play the Mateel, which should be a pretty well-attended show at 9 p.m. ($45, $40.50 advance). Vintage San Francisco deathrock band Altar De Fey brings its dark and shredded songs to Eureka tonight. With a sound that was classically somewhere between early Killing Joke and Love in a Void-era Banshees, it should be interesting to see if the group has kept the intensity up. Along for the ride are a cohort of punkish acts, including Cross Contamination, Sue and the Namies, Wet Spot and Grimweeper. The time is 8 p.m., the price is $7 and the place is The Siren's Song. Huzzah. Collin Yeo is just a feral cat trapped in the form of a human living out a transfigured punishment for getting caught eating the wrong wizard's monkey. He lives in Arcata.